The start of the new year is filled with a growing excitement for Sonja Babich, who was recently honored as Sartell Chamber of Commerce Member of the Year. “I was honored and tickled to win that award,” Babich said. She was praised at the awards ceremony for her sense of community, her hospitality, her constant emphasis on “giving back” and her longtime work for the Chamber. She served as its president in 2016. For the past eight years, Babich has been director of sales and marketing for Blackberry Ridge Golf Club. The year 2019 is filled with promise for the club and its visitors, with new full-filled activities planned, Babich noted. A major innovation at the club is the three outdoor skating rinks that opened in early January on the grounds of Blackberry Ridge. Babich and other outdoor enthusiasts are hoping family skating fun on the rinks will grow into an annual area winter festival with lots of outdoor fun – skating, sledding, cross-country skiing, musical entertainment, food and beverages. Currently, boot hockey leagues are being formed for play on the rinks. There will be open skating time on weekends, and private parties (with skating) for Thursday nights. Babich is also looking forward to a Feb. 1-3 fun-for-all Granite City Pond Hockey Championship Tournament at Blackberry Ridge coordinated by Gary Hines, owner of Hockey Zone Minnesota in Waite Park, with help from Babich and the Blackberry Ridge staff, especially its owner, Wes Fenlason. For more information about skating times and upcoming events, visit the Blackberry Ridge website at www.blackberryridgegolf.com or call the club at 320-257-4653. Babich has been a member of the Sartell Chamber of Commerce since January 2014. 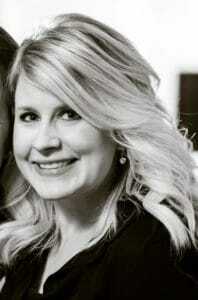 She has served on its Events and Marketing Committee and as a board member for the Sartell-St. Stephen Education Foundation. She is also a volunteer teacher with the Junior Achievement program. A 2006 graduate of Sartell High School, Sonja Babich served as class president and student-council president. She earned degrees from Concordia College, Moorhead, in communications, public relations, graphic design and printmaking. One of her first jobs was executive administrative assistant for Carlson Investments in Edina. Her job at Blackberry Ridge includes contracting, coordinating and managing corporate events, golf outings, weddings, trade shows and many other special events. She also assists with the day-to-day management of the golf club. Babich said she has always been proud and honored to be part of the Sartell Chamber of Commerce, which was founded in 1999 as part of the St. Cloud Chamber of Commerce with only 20 Sartell business members at that time. In 2016, the chamber members of Sartell decided to join forces with the city-led Hospitality and Visitors’ Service to increase exposure for Sartell businesses. The Sartell Chamber has grown steadily since and currently has 200 members.